Film Rolling – Sound Speed – Story telling time! After the first course in Edinburgh there have been another two In Focus: Storytelling using Media sessions, Aberdeen and Glasgow. 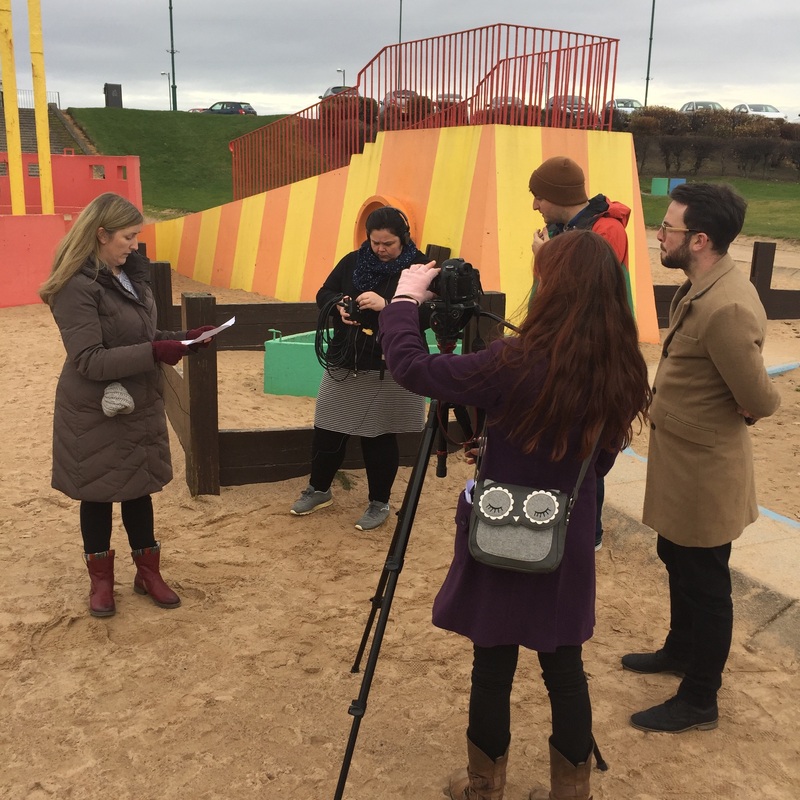 The feedback from participants has been great – and there is already talk from several projects about putting new skills into action and making their films in the next few months. I can’t wait to see the finished pieces! A short film is a great visual interpretation of your case for support. You can show people the difference you make to individuals and communities. You can talk to people directly – and you can quickly demonstrate how, and why, your project deserves funding. Your film can be seen by a huge audience – social media can help to tell your story far wider than an individual might. Your film can be shown to funders, stakeholders, conference attendees and those who take-part in your projects (as well as many others). Knowing your audience and the story you want to tell will help to keep your film plan focused. At these courses participants work as a small ‘film crew’ – learning not only the skills they needed, but about each others projects, and about the shared, collective importance of heritage across the various facets of the sector. Courses for January – March 2017 are all now listed on the website – 2017-2018 courses will be advised in Spring 2017. If there’s a Fundraising course you’ve missed in the past, or a new aspect you want to cover – just contact us and we’ll see if supply can meet demand. Have a very Merry, and hopefully relaxing, festive period. Here’s to many more #InspiringFundraising moments in 2017.